Here are a few more of the gifts I made for Christmas this year--lots of dishtowels (I kept one Figgy Pudding dishtowel for myself), a tote bag for my mom, a yoga mat bag for my sister. 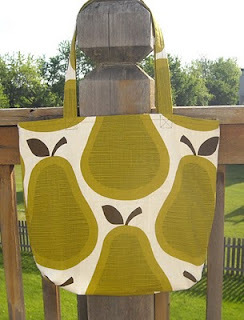 I also gave this pear bag to my mother-in-law. I made pajama pants for the kids to open on Christmas eve. I lost the pieces the first time I cut out Lauren's pants, and still haven't found them. The second time around, I had to cut them on the cross grain to make the pattern pieces fit. It worked out ok though. The kids got a good haul on Christmas morning. 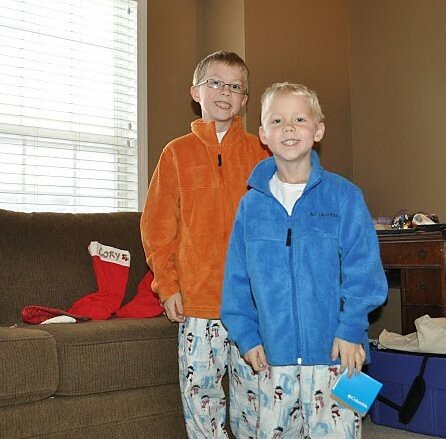 New jackets for the boys, along with lots of games and books and hot wheels. Lauren got books, a bath whale, a funny looking pink thing, and some other stuff. She makes great faces. I hope you all had a great holiday! I'm looking forward to the new year! Lauren's face in that last picture is killing me. Very cute! I LOVE that pear bag! oh what fun! happy faces!! 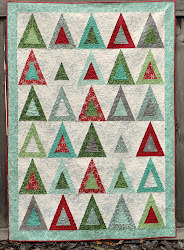 I am *SO* digging the pear fabric! Awesome!!! Oh my goodness, that is so funny! 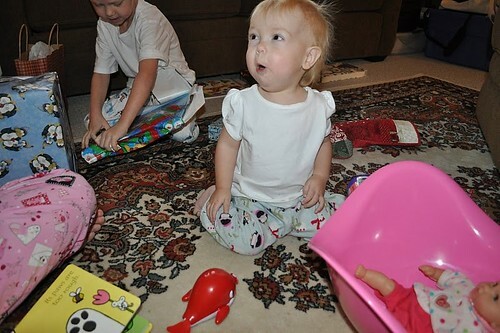 Tony totally got Avery a Bilibo for Christmas too! Although he got her a green one, who knows why? The kids have been having fun sitting in it and spinning around.It's a hit in our house, strangely. Ooh! 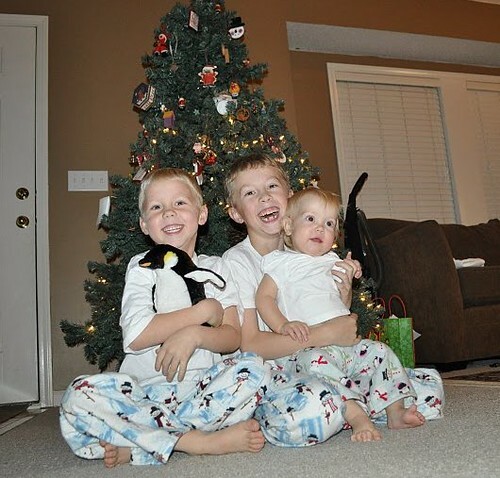 LOVE matching pj's it's one of the things I didn't get to this year! 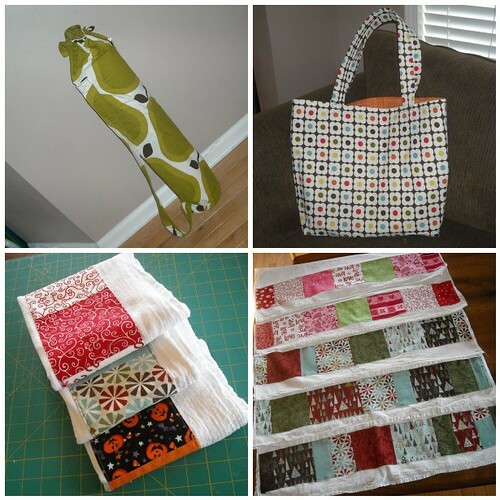 Your gifts that you made look fab - I especially love the dishtowels!